Whether you are traveling by plane, train, or automobile, taking a nap while on the go can be very troublesome. 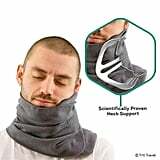 It's hard to get comfortable, even with a traditional U-shaped travel pillow, and the likelihood of a stiff neck is pretty much a given. Fortunately, it sounds like avid travelers have finally found a game-changing product that'll allow you to nap pretty much anywhere: the Trtl Travel Pillow ($30). 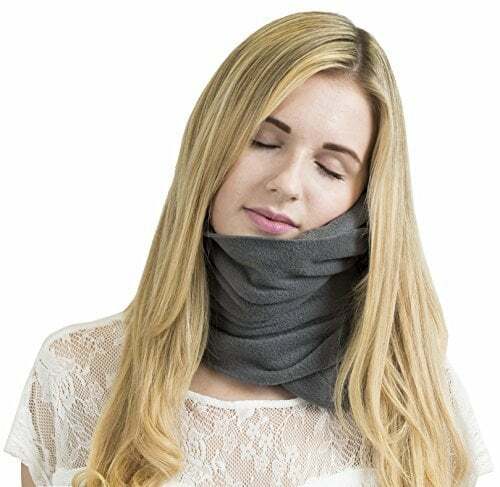 The "pillow" is more of a wrap — made with supersoft fleece and available in four colors (black, gray, red, and coral) — that Velcros around your neck to offer support. 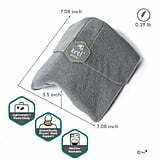 According to the brand, the pillow is scientifically proven to support your head and neck unlike any other travel pillow, because it is padded with memory foam ensuring maximum comfort and support while you sleep. Its patented design allows it to fit any neck, jaw, and shoulder shape, too, even though it's half the size of a regular U-shaped pillow, weighing in at only half a pound and folding almost flat, which means you can easily stuff it into a backpack or carryon. More than 3,000 people have rated the product on Amazon. One recent Amazon reviewer said: "[I] was able to sleep comfortably on the plane. I won't travel without it!" 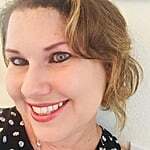 Another reviewer contended, "Best travel pillow I've had, and I've tried them all." Our very own editors have tested and given the funky-looking pillow a must-try seal of approval. So there's nothing more to say; give it a try!